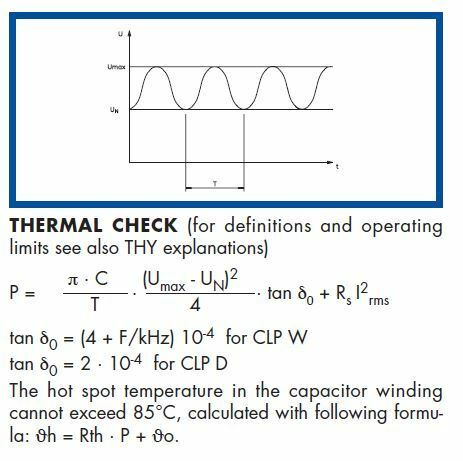 CLP capacitors have the same mechanical eecution of THY but intended for use with a D.C. voltage with superimposed a ripple voltage. CLP D series consists of dry metallized dielectric capacitors, self healing type, with axial terminals. The capacitors winding is elclosed in a plastic can filled with resin. Both are self-extinguishing. 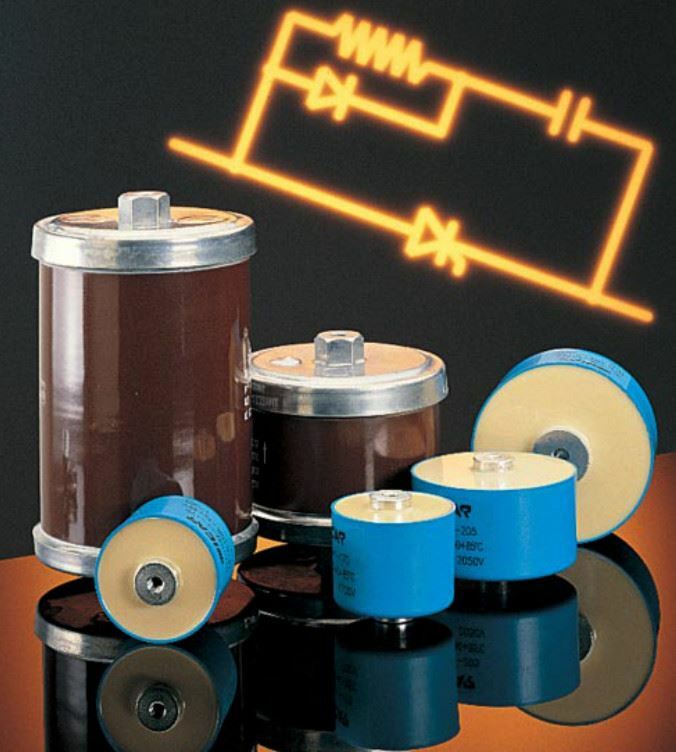 A special arrangement assures a very low series resistance and high capability to withstand inrush currents. Mechanical fixing consists of threaded holes M8.